Motto: Many parts, but one whole. The Federal State of Kistan is a unitary republic which dominates the western portion of Levantia, bordering Burgundie, Kuhlfros, and Urcea by land, the Sea of Odoneru to the west, and the Coscivian Sea in the north. It functions as a primarily land-based empire, but exercises some control over small colonial areas in Punth and maintains a client state in Audonia named Avana It is the legal successor to the Empire of Kistan, although its last dynasty collapsed from a lack of heirs and the throne was abolished after the events of the Nine-Year Terror. Fhasen is its legal language, although Aenglish and Latin are commonly spoken as regional tongues, with bilingualism being common. Kistan's modern borders stretch almost across Levantia, encompassing most of the Burgundian border, swelling along the bulk of the Great Northern Plain, and covering the (IxAlps) down to an arid Urcean border along the (name) Sea/Ocean. Its boundaries are the result of over two thousand years of invasion, feudalism, centralization, negotiation, and conflict with neighboring nations, but it would suffice to say that the edges of State control are marked mostly by natural barriers - a testament to the long and vigorous military tradition the nation has enjoyed. As a result of its size and variety of latitudes, Kistan's metropolitans live in a wider array of climates than almost any other people in Ixnay, with the exception of multi-continental Burgundie. Vrell is the southernmost portion of the Kistani mainland, and is dominated by Latins with a significant Aenglish minority. 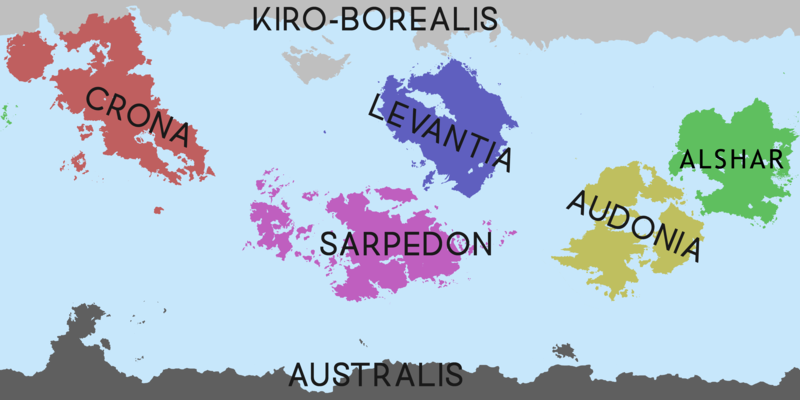 Its geography consists of warm, humid coastline with significant precipitation and a flat, dry, almost desertified interior referred to as the Vrellan Basin. It was originally the hub of the Vrellan Imperium until its dissolution into the new Kistani Empire along with the Kingdom of Fhainnholdt in 1076, and remains a center of trade and culture. The Bulge is composed of Kistan's gains of the second Kuhlfro-Feini War minus the _ Territory, and occupies the lands of the Federal State between the nations of Kuhlfros and Urcea. Its territorial borders have long since shifted out of line with its initial boundaries, but the region is still noted for its native (smaller tribe) population and a large number of Aenglish and Latin settlers. Its geography is dominated by mountains in the north and wide, dry plains which slowly lead into the Vrellan Basin to the southwest. Kistan Proper, commonly referred to as Kisr or 'lesser/lower land' makes up the portions of southern Kistan up to Ceann a Rhydwel. Feinii are the majority ethnic group in Kistan, and at about two-thirds the population, make up the bulk of Kistani culture and economics. The nation itself bears the name of the ethnic state of the Fhainn, and aligns itself heavily with traditional Fhainic moralism. The Aenglish are a significant minority in southern Kistan, and speak the mix of Latin and Fhasen known as English. A significant portion of them live right along the northern Urcean border. The Federal Republican system of government in Kistan is based on unitary principles, meaning all power comes from the federal level and is disseminated as seen fit, as opposed to a federative system; power is delegated to lesser political entities within the country at the behest of the Senate and Despot. Under the political theory of ____ Cananach, this system involves four primary government branches, six major government departments, and five types of political subdivisions. The primary branches of government are as follows: The Despotate, the High Court, the Senate, and the Central Council. The six major government Offices are: The five types of local political bodies are: Fully Integrated Territories, Subject Territories, Protectorates, Colonial Territories, and Colonial Concession Zones. The Despotate contains both the Office of the Despot and its associated functionaries, and the Despot acts as supreme military commander, head of state, and head of government. Its powers within the bureaucracy are second only to the Senate, as the Despot has near total control over the Office of the Army and significant control over foreign relations. The Despot has the power to veto laws passed by the Senate, but this can be overridden by either the High Court or the Council. The Despot also appoints several members of the Council and may nominate judges for the Court. Voting for the position of Despot is done through popular vote, with candidates being nominated by every recognized party ('recognized' as decided by the High Court). One term length is ten years, and a maximum of three terms may be held by any one person. The minimum age for service as Despot is thirty. The High Court is purely a legislative body, with criminal and civil law's highest judiciary being the Greater Law Circuit, based in Lansgadh. Its primary function is to vet proposals before passing them on to the senate, acting as a filter for loopholes, vague language, and blatantly unconstitutional acts. Of its nine members, a simple majority of five 'yes' votes passes a proposal, and the Court may finalize laws which pass through the Senate on a vote of eight 'yes' to one 'no' or abstention. Courtiers are selected from the ranks of lower judiciaries, with Despotic or Council nominations being approved by Senate votes. The court also vets expenditures and electoral zoning to prevent corruption. Term limits are eight years, with a maximum of two terms per judge, although this is as of yet a rare occurrence. Service age is thirty-five. Most electricity in Kistan is supplied by nuclear power, which is managed by the federal government due to its valuable and trust-demanding nature. Hydroelectric and coal power make up roughly a third of the energy in Kistan, however, and are privately owned. The economy of Kistan focuses on core industries, primarily agriculture and heavy manufacturing. The government actively encourages growth in these areas, as the nation's potential to have basic autarky if required is considered a matter of national security. Agriculture creates large surpluses of staple crops such as corn, wheats and grains, and vegetables, which are typically bought by the government using the same tax money garnered from agriculture to maintain stable, low prices while the excess is re-purposed for foreign aid, military use, or simply sold off on the national markets. Subsistence farming is practiced throughout the nation, with the general exception of the arid Vrellan territory, albeit only as a supplement to actual jobs and no longer in an attempt to match the industrialized process that garners most food production. Kistani have a long tradition of 'swords to plowshares' and vice versa, greatly benefiting agricultural sciences and equipment design as well as a growing genetic engineering sector. Manufacturing itself provides the basic needs of life and what consumer goods are consistently required, although luxury items, textiles, and electronics are greatly dependent on foreign import. Agricultural and industrial machinery, as well as the many basic parts required for electronics and other machines. Often, parts will be shipped out of country, assembled, and shipped back as completed appliances with software! Unemployment is rarely an issue due to the quantities of goods being produced, but the pay for basic labor can leave much to be desired, thus the introduction of automation. New entries into the work force often begin in these basic positions and work upwards, which combined with the preferred apprenticeship method of higher education offers incentive for companies to maintain a pool of manual positions regardless of labor costs. Mild logging and a healthy paper industry take advantage of the vast forests of the Empire, while mining remains similarly prosperous and supplies more than enough ores to provide for fabrication industries. The nuclear industry is also quite widespread, though surprisingly it focuses on energy production rather than weapons manufacturing. Spetsford Shipyards is the largest naval production and design company in Kistan, with its primary facilities located in Vrell and Kistir. It began as a minor business that built itself up from selling fishing boats, to cruise liners, to military warships. While still a civilian business, SpetShip also produces the majority of Kistan's naval combat vessels, and has benefited greatly from the absorption of the foreign Sverd Industries into its fold. Sverd Industries Was Prizyetan, but moved to Kistan after host nation collapsed. Primarily aerospace and defense, manufactured Air Traffic Control systems Military aircraft, Military systems, Radar Systems, Small Arms, Naval Ships, Naval Supplies, Military Vehicles, Artillery, and Missiles. Nowadays primarily makes civilian aircraft and missiles, ship designs sold to Spetsford Shipyards to stay afloat, other designs rejected by Kistani government. The Elta-class Prizyetan destroyer was also stolen by Kistani agents from Sverd.